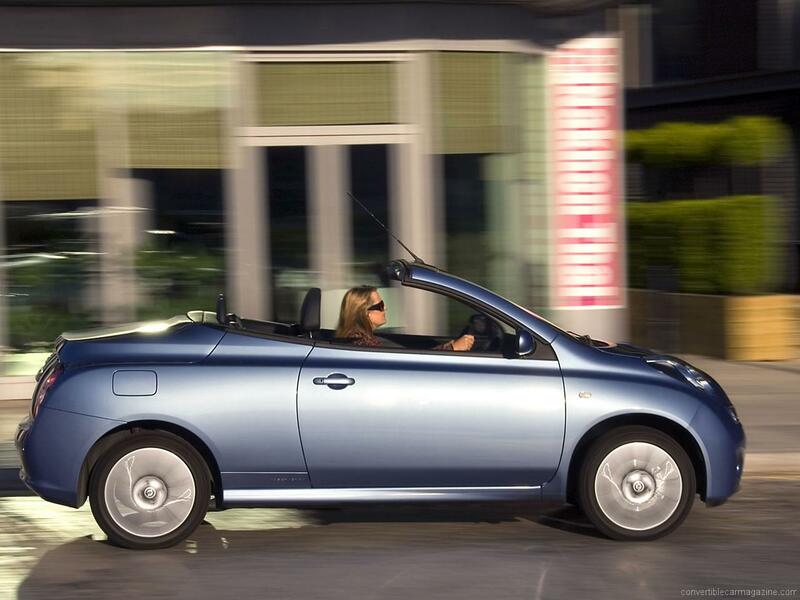 The Nissan Micra C+C adds yet another perspective to the now bulging market of convertible super-mins. Its unusual, cheeky looks will be loved by some and smirked at by others. 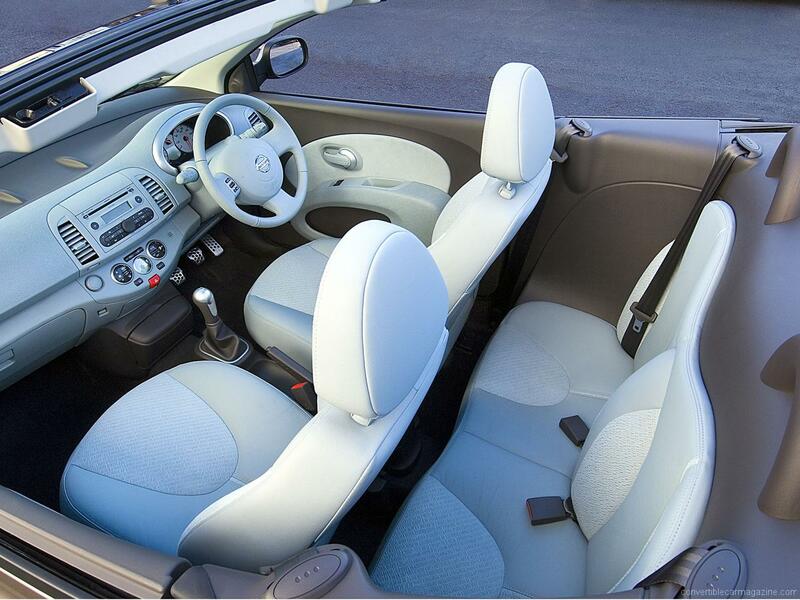 The Convertible Micra is a very practical, useable convertible with good equipment, lots of luggage space and a competitive price. 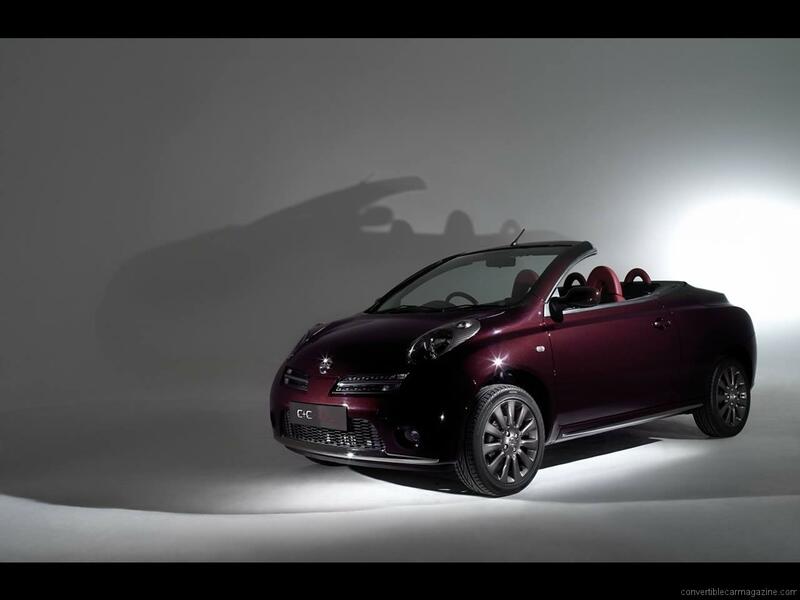 On the down side the Coupé Cabriolet’s cabin is a little cramped particularly in the tiny back seats and there is noticeable wobble from the chassis over uneven roads when the roof is down. All in all though a fun and versatile little car. The Nissan Micra Convertible was discontinued as sales dropped in 2009. 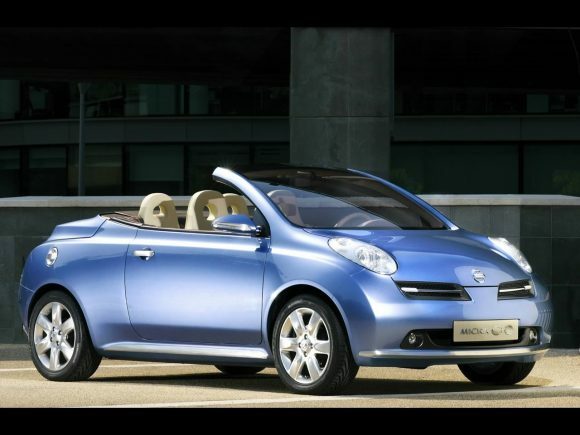 With the new shape Micra being available only as a 5 door hatchback there doesn’t seem to be much of a hurry to build a replacement of this Japanese drop-top. 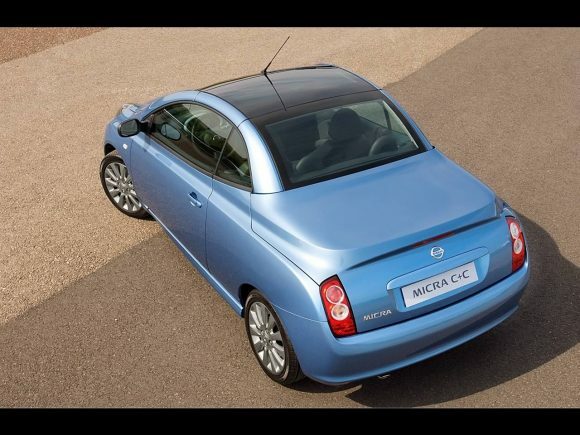 Do you drive a Nissan Micra C+C? Would you recommend it to others? Join the conversation and let us know what you think of the car. This Nissan currently has 6 owner reviews. i so much love Nissan Micra CC,i wish i have one………………. We have 2 Nissan CC. Before we only had one, but after my wife had driven mine she wanted to buy her own and sell her Ford Fiesta so there we are. The cars never break and if something happens they are very cheap to repair. We are closer to seventy years old and I will have mine till I can´t drive anymore. They always work. Very easy to drive. With the roof down you can easily drive more than 100 kilometers an hour with no problems. They are like any coupécar, when the roof is not down and are also wonderful wintercars. We are swedes so we know. If you want a good car and at the same time a fun car, buy one. They were built between 2005-2009. Hej, jag har en ljusblå Nissan Coupè / Cabriolet (C+C) 2006. Bättre bil har jag aldrig haft och inte roligare heller. I Sverige är den som vilken sedàn som helst, men när man låter taket glida ner har man en cabriolet som är underbar. Bilen har allt, såklart abs, esp osv och den är underbar att köra i regn och svårt väder. Man kan knappt köra billigare och reservdelar och reparationer är mycket låga. Om man kör lagligt på motorväg är det mycket lätt att bara råka glida upp i 140 km/h. Bilen verkar tåla hur mycket som helst. Tillverkningsår 2005-2009. Jag gör mig aldrig av med bilen. Den är läcker, ett smycke. See above (it is swedish). Hello, I have a light blue Nissan coupè/cabriolet (C+C) 2006. Better car I have never had and no more fun either. 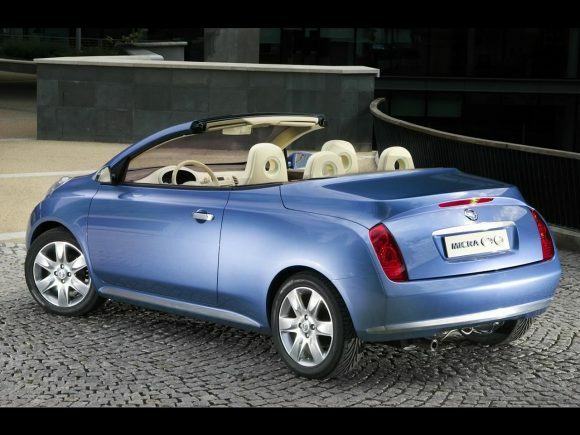 In Sweden it is like any sedàn, but when you let the roof glide down you have a cabriolet which is wonderful. The car has everything, of course abs, esp and so on and it is wonderful to drive in rain and difficult weather. You can hardly drive any cheaper and spare parts and reparations are very low. If you legally drive on a highway it is very easy just to happen driving in 140 kms/h. The car seems to be able to take anything. Made between 2005-2009. I will never get rid of the car. It is dainty, a jewel. What an amazing value,character car . One of motoring’s best kept secrets.I have a 2005 1.6 Essenza now with 55k on the clock.I have fitted a stainless exhaust ( needed replacing anyway ) with Mr Tyre.- excellent.Also a KandN air filter and ,most importantly a TUNE-IT re-chip.This is removable and has various setting linked with your mobile.This both improves economy ( I only use Shell V POWER ),and gives an estimated 130bhp – quite a mover! A wolf in sheeps clothing indeed with an estimated 0-60 in nearer 8 seconds.Not bad for a Micra. Don’t tell everybody.